Rob has been building financial services technology for over 20 years. He is a chartered engineer and a specialist in Payments and Blockchain-based systems having delivered platforms for some of Europe’s largest banks. He led PwC’s fintech practice in Australia, where he was responsible for their innovative Vulcan digital assets platform. He has also been a board member of the Australian Payments Council and is now on the boards of several fintech and crypto startups as well as having advised on a number of successful ICOs. In 2018, Rob co-founded nodl, a blockchain consultancy and technical services business, to focus on applications of blockchain in the areas of the UN’s Sustainable Development Goals and financial inclusion. This has brought a diverse range of work including designing a security token for a large impact investment fund; applications of blockchain technology to the waste to energy industry; and is currently working with the Asian Development Bank on a fintech strategy for the South Pacific islands. Rob is the co-author of “Fintech Revolution: Universal inclusion in the new financial ecosystem” and in his spare time loves to swim with sharks! Henrik has over 17 years experience in global financial markets, with almost a decade on Wall Street. Henrik has extensive experience across three continents as a quantitative analyst, senior research analyst and in institutional equity sales. Henrik holds a Master of Science in Engineering Physics from the Royal Institute of Technology (KTH) and a Master of Science in Business Administration and Economics from Stockholm University. He is a CFA charterholder. Apollo Capital is an actively managed crypto fund based in Australia. Daniel is an entrepreneur with primary focus on decentralized web technologies. He is the founder of bitfwd and currently serves as Chairman. Daniel is particularly interested in disruptive innovation in the FinTech space and promotes equitable business models through opensource systems and cryptoeconomic empowerment. Daniel was selected as impact entrepreneur fellow to join the Edmund Hillary Fellowship program. Daniel leads global Blockchain collaborations involving grassroots developers’ communities, high profile tech projects, venture funds, academic institutes, NFPs and governmental organizations. His work attracted government grants and sponsorship from China, Australia, New Zealand and Israel. Daniel cares deeply about initiatives in the education space, advancement of indigenous people, gender equality, diversity & inclusion, and environmental sustainability. Frederick Brien is a co-founder of Tokens for Humanity, an ACNC-registered charity working on enterprise applications of blockchain technology and applications that enable cryptocurrency philanthropy. Frederick has experience in internal audit and business risk management from his pervious role at a global management consultancy firm. It was early into his working career when he discovered his interest in blockchain technology and its potential widespread applications. Frederick currently studies a Master of Information Technology part time and is involved in the Queensland startup and entrepreneur space. Thanh Le comes in as a NEM Australia leader based out of Sydney. Having 10 years of experience in education and a solid background in business development and insurance. With his education experience, Thanh provides monthly workshops and meetups in Sydney to those wanting to learn more about cryptocurrencies and blockchain technology. Thanh’s long-term vision is to help every business from SME to globally recognised brands reduce cost and dramatically increase day to day efficiency and productivity with the implementation of blockchain technology. Nothing brings Thanh more satisfaction than seeing the success of businesses skyrocket and successful partnerships formed within the cryptosphere space. Siriboon Chaisawat is a research assistant in Information Security Research Team at National Electronics and Computer Technology Center(NECTEC) which is a national technology center under the National Science and Technology Development Agency (NSTDA), Ministry of Science and Technology of Thailand. Drawing on expertise in cybersecurity and related fields, her team conducts interdisciplinary research which exploit multiple domains of knowledge such as Technologies, Social Sciences and Legal Studies in order to achieve national goals. Siriboon has been working as a developer as well as conducting research on Blockchain. Her works are mainly focused on designing Blockchain network and implementing trustworthy decentralized platforms as well as integrating Blockchain technology with traditional applications. A degree in software engineering and almost a decade working within banks puts me in a good position to understand how technology works within the finance industry. Currently working for the Australian self-regulator for payments I get to apply the full extent of that experience to look at anything they throw at me. I've been active in the application of leading edge technology since the early 90's - the digitisation of telco infrastructure as an engineer; an IT / web project manager in New Zealand government organisations, Fonterra and BNZ. In 1999, I co-founded one of the worlds earliest SMS marketing businesses - Run The Red. Run The Red started as a text marketing business, teaching New Zealanders how to text. We became a market leader integrating text messaging with core business applications, providing solutions in New Zealand and the South Pacific to clients such as Westpac, Vodafone, Sky TV, Facebook and The Department of Internal Affairs. Run The Red was bought by Pushpay (pushpay.com) in 2014, who on-sold it to Modica in 2016. I've been a Way of Nature student since 1996 completing Guide Training, including a 28 day personal solo retreat in the Colorado Mountains in 2015. I host programmes encouraging people to include a conscious relationship with Nature in their personal and professional lives. A key question we ask is How might I partner with Nature in my Work and in the process of leading? My involvement in blockchain started early 2017 and I'm currently providing business guidance to several blockchain founders. I am the business strategist for TrustaBit.io, a USA start-up applying blockchain to automate the issuing of vouchers when your flight is delayed. I am a business advisor to The Formary, a world leader in developing solutions to recycle and repurpose the world's tsumani of textile waste. The Formary have recently partnered with Australia's BlockTEXX, and together they are applying blockchain technology in the textile re-use supply chain. I (amongst many) believe we need to transform the commercial eco-system and for this a paradigm shift is required. We need to have a feel for what this paradigm shift is BEFORE we create our solutions. We have a responsibility to ensure a diversity of input and we need to include Nature in the dialogue. Only then can blockchain and other technology be leveraged in a way that serves humanity, the environment and all Beings of Nature. As a creative alchemist, I make connections, facilitate diverse conversations and contribute as one of many stewards to generate this paradigm shift so that our grandchildren’s grandchildren have the future we wish for them. Arvie, who first joined UnionBank in 2010 as Business Development Director and later on became Corporate Product Management Head, was in 2017 tasked to fan the flames of innovation at the bank by establishing and leading the Fintech Business Group. In this capacity, Arvie spearheads the key transformation initiatives of UnionBank, particularly in Fintech and Blockchain. The group he leads reports directly to the Chief Executive Officer (CEO), and represents 10% of all external-facing personnel of the bank. 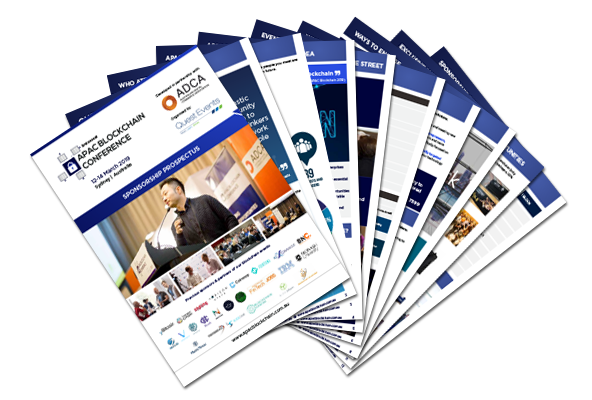 A thought leader in innovative financial services, Arvie has been recognized by international media as being among the Top Fintech Influencers in the Philippines, and has spoken widely on key trends and developments in Fintech, Blockchain and Digital Transformation at high-level global forums organized by the likes of the International Finance Corporation (IFC), the State Bank of India, and the Australia Digital Commerce Association (ADCA) to name a few. Driving a culture of collaboration and co-creation within the organization, Arvie embraces the bank’s agile way of working and is part of a dynamic and passionate UnionBank team that continues to garner global recognition for innovations in banking. His team has received numerous awards in New York, Dubai, Singapore, London, and Hong Kong for corporate payment solutions and more importantly, for financial inclusion projects. Concurrently, Arvie sits on the Board of the bank’s subsidiaries PETNET Inc. and UBX – the latter being established to build on the bank’s leadership in digital technology. Arvie is also a Founding Member and Vice Chairman of the Blockchain Association of the Philippines whose purpose is to educate, regulate, and innovate on blockchain technology. Apart from these, Arvie is Co-Founder and Director of Tech-Up Pilipinas - a movement launched at the Singapore Fintech Festival in November 2018 that seeks to help small and medium enterprises (SMEs), individuals, and large corporates benefit from technological advancements in order to “tech up” the Philippines and pave way for inclusive prosperity. He is also Founding Member and Board Director of the Fintech Association of the Philippines which is part of the ASEAN Fintech Association and the Asia Pacific Fintech Network. Spanning a 20-year career, Arvie has had extensive experience covering banking (Citibank), telecommunications (Globe/Singtel), and broadcast/digital media (TV5/ABC), with roles across product management, sales, finance, strategic planning, and business development. Though by profession and training, Arvie is a banker with an MBA, he is also a Philosophy graduate and an innately creative thinker at heart. When not working on smart banking solutions and innovative platforms, Arvie - who lives life on a glass always half-full perspective - is a rockstar husband and father to six very animated children. 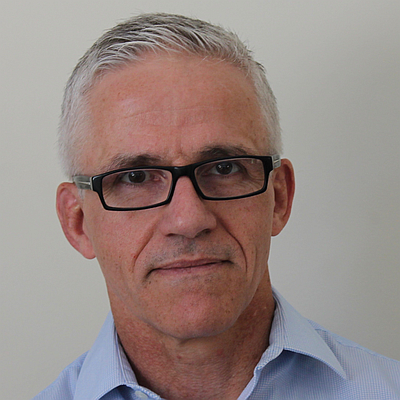 Nigel Dobson is Banking Services Business Domain Lead at ANZ. The Banking Services Domain delivers common end-to-end platform-based services to drive our business outcomes towards delivering innovative, customer focussed solutions. Banking Services is responsible for developing and implementing the groups Payments platform strategy that will support the enterprise and our partners. The domain portfolio will also include additional enterprise services such as Fraud monitoring, Transaction Screening, Digital Identity, Credit and Risk Monitoring and Decisioning. Nigel leads the bank’s Blockchain strategy and associated activities, including fostering partnerships and industry pilots. Nigel is currently a Director of the New Payments Platform (NPPA) in Australia and a Director of the Australian Payments Council (APC). Lachlan is a co-founder and executive director of Labrys. Based in Brisbane, Australia, Labrys helps businesses explore, prototype, develop and implement distributed ledger technology architectures across various domains. Having worked with both private and public sector clients, Labrys has a track record in understanding the significance of DLT and how organisations can use it to stay competitive in their industry. At Labrys, Lachlan oversees project management and in 2019 has successfully delivered various large scale enterprise projects. Including the successful commercialisation of the PrimaryLedger DLT registry service which currently services over $150 million worth of securities. I am responsible for Experimentation in the Innovation Lab, where we test new ideas and emerging technologies in order to drive commercial outcomes. We believe experimentation fuels innovation. We aim to uncover insights and knowledge to create customer value. We have a portfolio of blockchain and embodied AI (social robotics) projects underway, where we use customer centric design and an agile approach to experiment, incubate and commercialise technology-driven solutions. My international investment banking experience includes advising, originating and executing capital raising transactions driven by client's core funding needs, acquisitions or new business initiatives across a broad product set including vanilla debt capital markets products, securitisation and structured finance transactions, and a range of domestic and international markets. I have a demonstrated capability for identification and execution of new business opportunities, managing high performance teams, taking a collaborative approach and balancing the needs of diverse stakeholders to deliver the optimal outcome. Nick Giulietto is the Chief Executive Officer and Managing Director at the Australian Digital Currency & Commerce Association. He is a B2B marketing and product professional enthused by the potential for Blockchain technology to transform business models in every industry sector - and in government service delivery. Vincent Gramoli is the head of the Concurrent Systems Research Group at the University of Sydney and a senior researcher at Data61-CSIRO. Prior to this, he was affiliated with INRIA, University of Connecticut, Cornell University, University of Neuchâtel and EPFL. Vincent received his PhD from Université de Rennes and his Habilitation from UPMC Sorbonne University. Benjamin is an Assistant Director (ICT) with the Australian Federal Government, who has previously worked across a number of large-scale ICT implementations to deliver social welfare payment systems to the Australian public. Having recently delivered a modular framework for automation of claim processing for social service benefits for the Department of Human Services, part of the Government's $1B commitment to Delivery Modernisation (WPIT). He is also a Senior Consultant for Blockchain Partner Holdings in Sydney and the Australian Ambassador for ETHLend (AAVE) - a P2P decentralised lending platform based on Ethereum. Benjamin is a highly active contributor to the Australian blockchain community, focusing his efforts to assist educating individuals and businesses on the 'value' that may be obtained through considering the collective technologies which makes Distributed Ledger's (DLT) useful. He has been a keynote speaker at a number of conferences for both private and Government entities, and maintains educational resources such as a YouTube channel and Medium Blog focused purely on education. Benjamin holds a BS in Information Technology majoring in Information Systems & Business Analysis. Peter Hiom has been Deputy Chief Executive Officer of ASX since April 2010. He is responsible for the development of all ASX businesses: Listings and Issuer Services, Trading Services, Derivatives and OTC Markets, and Equity Post-Trade Services – including ASX’s development of distributed ledger technology to replace CHESS. Peter has a deep understanding of market structure, business processes, sales, product development, distribution and the application of technology in capital markets. He joined ASX in July 2006 following the merger of the Australian Stock Exchange and SFE Corporation where he had responsibility for the business development of the Sydney Futures Exchange and Austraclear. As part of his role, Peter is a director of Yieldbroker, Australia’s leading electronic fixed income trading platform, and also of Digital Asset, a New York based global leader in the provision of distributed ledger technology to regulated financial institutions. Prior to moving to Australia, Peter worked for the London International Financial Futures Exchange, where he held a number of management roles within the Business Development and Information Technology divisions. Mastura Ishak is the Programme Director at the Malaysian Industry-Government Group for High Technology (MIGHT), an agency under the purview of the Prime Minister’s Department. MIGHT is a Private-Public Partnership platform focused on harnessing technology for business and business for technology. Mastura has served in various capacities within industry, government as well as NGOs since graduating with an MBA in International Business and Finance from Syracuse University. She has written articles on blockchain and related topics for MyForesight magazine as well as the Malaysia High Tech Outlook by MIGHT. She is a member of the T/C/G 15, the national mirror committee for the ISO TC307 on Blockchain and Distributed Ledger Technology. Mastura is currently heading the Blockchain initiative at MIGHT focusing on adoption of blockchain by the Malaysian industries beyond fintech, in order to enhance and sustain the country’s competitiveness in the future. Her most recent programme is the upcoming Malaysia Blockchain and Distributed Ledger Technology Outlook 2019. Dr. Salil Kanhere obtained a B.E. in Electrical Engineering from VJTI, Bombay, India in 1998. Subsequently, he joined the Department of Electrical and Computer Engineering at Drexel University in Philadelphia, USA as a post-graduate student. Salil received his M.S. and Ph.D., both in Electrical Engineering in 2001 and 2003 respectively. Salil's Ph.D. dissertation was in the area of fair, efficient, and low-latency scheduling in high-speed networks with a particular focus on achieving low implementation complexity for practical use in switches and routers. Since April 2004, Salil is with the School of Computer Science and Engineering at the University of New South Wales in Sydney, Australia. Salil's current research interests are in the areas of Internet of Things, blockchain technology, sensor networks, mobile networking, security, and privacy. Salil has served on the organising and technical program committees of several international IEEE and ACM conferences. He has presented tutorials and invited talks on his research. Salil is a senior member of the IEEE and ACM. Salil is a recipient of 4 Best Paper Awards and the Humboldt Research Fellowship. Global Spokesperson and Australian Coordinator for CloakCoin, an untraceable cryptocurrency launched June 2014. Co-founder and Senior Consultant at Privacy Express. Privacy Consultant & Advisor at Bright Matter Advisory and Quixxi Connect (Lakeba Group). Privacy Activist and Blockchain Speaker. Toshikazu MASUYAMA is a former senior official in Japan’s Ministry of Economy, Trade and Industry (METI) for Japanese Government, where he served in positions including Director of Europe and Russia, Middle East and Africa Division for trade and energy policy, Director of Policy Planning in the Agency for Natural Resources and Energy, Director General of JOGMEC (Japan Oil, Gas and Metals National Company), and Director General of METI for Hokkaido. His contributions as a government official include playing the main role to negotiate the creation of APEC and the Japan-EU Partnership Agreement (EPA), building new fields of industry for the renewable energy through new schemes like feed-in-tariff system and building and managing the energy project of energy overseas. Mr. Masuyama currently works as a special adviser or outside director for many companies related to energy, trade, public policy, and IT AI and he is a professor at the University of Asahikawa in Hokkaido, and Kyoto University of Advanced Scienece after giving lectures to University of Hokkaido University, Waseda University and Australian National University. Mr Masuyama currently works for Japan Global Blockchain Association and Kyoto Kimono Traditional Association and Japan Business Risk Management and control association for small and medium enterprises as a Vice President. Vaibhav Namburi is a founder who has taken his emerging tech consultancy from $500 to $1.1m. In doing so he's worked on apps for the likes of News Corp and recently built a blockchain solution for the UN/WFP with Devery to better help get resources to those in need in developing nations like Tunisia. Vaibhav has a strong background in Engineering, spending nearly 6 years building products for various startups and companies. He has built applications for companies that receive nearly 500,000 unique visitors a month. Hired to help with the technical architecture and smart contract infrastructure to facilitate a proxy based / replaceable smart contract structure he has helped raise a combined 1/4 Billion dollars in funds in a safe and secure way. Breaking down concepts and correlating them to real life situations is what he does best. He lives by the 'If you can't explain it simply, you haven't understood it' principle. He has already trained multiple engineers through bootcamps and at various companies in React and Node and he is extremely passionate about empowering through education. Managing a team of 8, he effectively white boards, breaks down and maps through complex problems making sure everyone is on the same page. He's combined his education in engineering from The University of New South Wales, multiple Mentors and the ubiquity of all the internet blogs and articles into concise, structured and goal driven courses. Together with his team, they use their vast experience in web and cloud technologies and combine it with the blockchain world to create elegant and efficient contracts and protocols for ICOs as well as dApps. Vaibhav believes that the main thing holding the industry back is tangible results - "All this money has been raised with no perceivable and actionable output, we need justification for the amount of money publicly raised in 2017, theres still a lot of money being raised in 2018 but through institutions but for the "market" to recover it would take a few of these start-ups to build a sustainable and useable product". Cindy has 30 years international experience with Investment Banking, Management Consulting, Software Solution Providers and Telco with a consistent theme of Innovation and Entrepreneurship. Cindy is a Graduate of the Australian Institute of Company Directors (GAICD); a Senior Member of the Australian Computer Society (MACS Snr); and a certified Executive Coach accredited by the International Coach Federation (ICF). Cindy is also a board member of the ICF Australasia. Cindy currently leads Innovation for the Financial Services Industry at Optus, and has developed an innovative Digital Identity Verification platform (OptusIDV), enabling Individuals and Corporates to interact in a digital and frictionless world. Dr. Ortiz champions digital transformation, inclusive prosperity and innovation across the world through thought leadership at global conferences and regional forums spreading these advocacies among business leaders and policymakers alike. His second coming as a technology evangelist pushes innovation forward within banking and finance, and creates resonance among today’s and tomorrow’s customers by driving the conversation on innovation, and leading the change in financial services. Apart from his chairmanship of UnionBank, Dr. Ortiz also chairs the Blockchain Association of the Philippines, founded in 2018, with the primary objective to "educate, regulate and innovate on blockchain technology.” He is also co-founder and chairman of Tech Up Pilipinas – a movement launched during the Singapore Fintech Festival in November 2018 that pushes for inclusive prosperity by helping small and medium enterprises (SMEs), individuals, and large corporates benefit from technological advancements. Concurrently, Dr. Ortiz chairs the Philippine Payments Management Inc. – a critical component of the Philippine Government’s National Retail Payment System Framework which seeks to establish a safe, efficient and reliable payment system in the country. Earlier in his career and following a successful 14-year stint with Citibank that included serving as Managing Partner for Global Finance and Country Executive for Investment Banking, Dr. Ortiz took on the leadership of UnionBank in 1993 at the age of 36. Since then, he steered UnionBank from the no. 23 bank, to where it is today – no. 7 in terms of assets, no. 5 in terms of profit and no. 1 in terms of return on equity (ROE). Furthermore, under his leadership UnionBank was awarded as the country’s Best Digital Bank, both by Asiamoney and The Asset Triple A Awards. Among his personal advocacies, Dr. Ortiz was a driving force in the Lumina Pandit project of the University of Santo Tomas which involved the conservation, digitization and publication of heritage library historical collections and university archives. Apart from this, he and his friends engaged in the production of organic coffee from Sulu in the hopes of raising awareness on the beauty and goodness of the conflict-stricken Philippine province. In 2015, Dr. Ortiz was conferred a Doctor of Humanities, honoris causa by the University of Sto. Tomas, in recognition of his extraordinary achievements in nation-building, education, values formation and youth development. More than Dr. Ortiz’s accomplishments and accolades in banking and his personal advocacies, it is energetic passion and resolve that propel his vision of building “a bank of enduring greatness” that goes beyond just marking profit. He strongly believes in a higher purpose to make a critical difference by elevating people’s lives and fulfilling dreams through innovation, financial technology and smart banking. Simone has spent over 20 years working with, advising and investing in tech companies globally: as an investment banker, entrepreneur and Venture Capital Partner. She began her career in investment banking with Morgan Stanley working with some of the leading technology pioneers in New York, San Francisco, Hong Kong and Sydney. Simone is currently Venture Partner for 7BC.VC, a venture capital fund based in San Francisco and New York, focused on investing in blockchain, AI and infrastructure for Web 3.0 technologies. Simone is also Director of INCO, a €200m impact fund and global pioneer of social and environmental impact investing, supporting entrepreneurs through venture capital, training and acceleration programs in more than 34 countries. INCO’s global impact footprint includes supporting over 2.3m people with low incomes, training over 300,000 people, creating over 100,000 jobs, accelerating 500+ startups per year, avoiding 4.5m tonnes of waste and saving over 500,000 trees. Simone holds a post graduate degree and Bachelor of Commerce (Finance honors) from the University of Melbourne. Professor Deborah Ralston holds a number of non-executive director positions including Chair of the SMSF Association, and is a member the Reserve Bank of Australia’s Payments System Board. She was the inaugural Chair of ASIC’s Digital Finance Advisory Committee (DFAC) and is a member of the YBF Fintech Hub Advisory Board in Melbourne. She is a Professorial Fellow at Monash University with research interests in digital disruption, superannuation, and financial regulation. Manesh Samtani is General Manager at Regulation Asia, a data-driven regulatory news and intelligence platform for Asia Pacific. He directs editorial strategy and production while overseeing day-to-day operations including research functions. His coverage focuses on regulatory changes impacting capital markets, banking and asset management across Asia, including the latest developments in cryptocurrency and blockchain regulation. Manesh is a former trader and investment consultant with a degree in Finance and Banking. Bryce Thomas is a co-founder of Tokens for Humanity, an ACNC-registered charity working on enterprise applications of blockchain technology and applications for the charity sector. Bryce has business strategy and management experience, and a keen interest in corporate finance and investments. Bryce holds a Master of Finance from UNSW, currently studies a Master of Business Administration part time and is involved in the Queensland startup and entrepreneur space. Sydney based Founder of Wholesale Investor, who is passionate about connecting Private, Pre-IPO, IPO and Small Cap opportunities with High Net Worth, Professional and International Investors. Over the last 9 years I have been working with Entrepreneurs, CEO’s and Investors to expand the opportunities available in the space and explore ways to connect deal makers throughout Asia-Pacific. In FY17, WI has surpassed over 17,700 subscribers, hosted 33 Investors event, across 5 countries to over 3900 attendees. Ron Van Der Meyden is a Professor in the School of Computer Science and Engineering at UNSW Sydney and Founder and CEO of Rationative Systems, a startup concerned with rigorous engineering of secure distributed intelligence. He previously held positions at the University of Technology, Sydney, the Weizmann Institute of Science, and NTT Basic Research Laboratories, Tokyo, and has held visiting appointments at New York University and Stanford University. His research interests include the foundations of distributed and multi-agent systems and computer security. 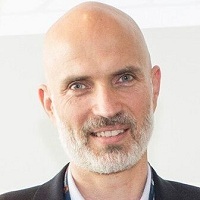 He was a member of the teams that established the Cooperative Research Centre for Smart Internet Technology and National ICT Australia (now part of Data61). He served in 2001 as a research program leader in the Cooperative Research Centre for Smart Internet Technology, before establishing the Formal Methods Program of National ICT Australia, which he led from 2002 to 2006. Significant outcomes from this program include the verification of the SeL4 micro-kernel, and Red Lizard Software, a software verification startup that was acquired by Synopsis. He received the ACM Distinguished Scientist Award in 2009. He currently leads the UNSW Interest Group on Blockchain, Smart Contracts and Cryptocurrency, an interdisciplinary group including staff from the Faculties of Engineering, Law and Business. His interests in blockchain are focussed on the development of smart contract languages and methodologies and tools for the verification of blockchain systems. Tom Wilkinson is the Head of Management Information and Analytics at the Department for International Development, and was formerly a Senior Data Scientist at the Home Office. In both roles he has led the prototyping and development of services that use automation and machine learning to efficiently keep decision makers informed. Alongside these roles he has coordinated the community across UK government of technologists and technicians interested in what Blockchain can do for public institutions. Since contributing to the Chief Scientist’s report published in 2016, he has acted as an independent technical consultant on Blockchain around government. I received my PhD in Computer Science from Deakin University, Australia. I am currerntly the Dean of the Digital Research & Innovation Capability Platform, Swinburne University of Technology, Australia. My research interests include cyber security, which covers network and system security, data analytics, distributed systems, and networking. In the past 20 years, I have been leading my team developing active defense systems against large-scale distributed network attacks. My translational research has made significant impact to the real-world applications, such as AI-driven cyber security applications, malware applications, cloud and IoT security applications, and blockchain applications. My research was funded by the Australian Research Council (ARC) and industry partners. I have published more than 200 research papers in many international journals and conferences, such as IEEE Transactions on Computers, IEEE Transactions on Parallel and Distributed Systems, IEEE Transactions on Information Security and Forensics, and IEEE Transactions on Dependable and Secure Computing. I have published three books, Honeypot Frameworks and Their Applications: A New Framework (Springer), Software Similarity and Classification (Springer) and Dynamic and Advanced Data Mining for Progressing Technological Development (IGI-Global). I am the foundation Editor-in-Chief of the SpringerBriefs on Cyber Security Systems and Networks. I am the co-founder and the steering committee chair of the NSS, ICA3PP, CSS, SocialSec conference series. I served as the Associate Editor of IEEE Transactions on Computers, IEEE Transactions on Parallel and Distributed Systems, Security and Communication Networks (Wiley), and the Editor of Journal of Network and Computer Applications. I am the Coordinator, Asia for IEEE Computer Society Technical Committee on Distributed Processing (TCDP). I am a Senior Member of the IEEE. Chris Zhong, Accenture Digital Blockchain Lead and founder & president of Blockchain Philanthropy Foundation, a non-profit organisation focus on promoting Blockchain technology for humanitarian causes. Prior to joining Accenture, she worked as the Lead Cloud Architect in Microsoft Australia. She is an innovative leader in tech industry with a track record of driving business growth and develop new revenue stream through technology. She is also a strong advocate for technology making social impact.